Whether you're looking for an enchanting gift from a magical realm or you're simply embracing a flowery meadow full of present possibilities - sometimes you just need to inject a little bit of "other-worldly" sparkle into your next special occasion - but how do you do it? The concept of fantasy and reality is a great theme to help ignite a little imagination in young minds. With your head in the clouds and one step firmly in the real world, our personalised and uniquely illustrated products are designed to bring out your little one's natural curiosity while allowing them to dream, explore and discover their creative side. At From Lucy we have waved our magic wand and conjured up a handful of our favourite gifts, prints and trinkets to get you inspired. 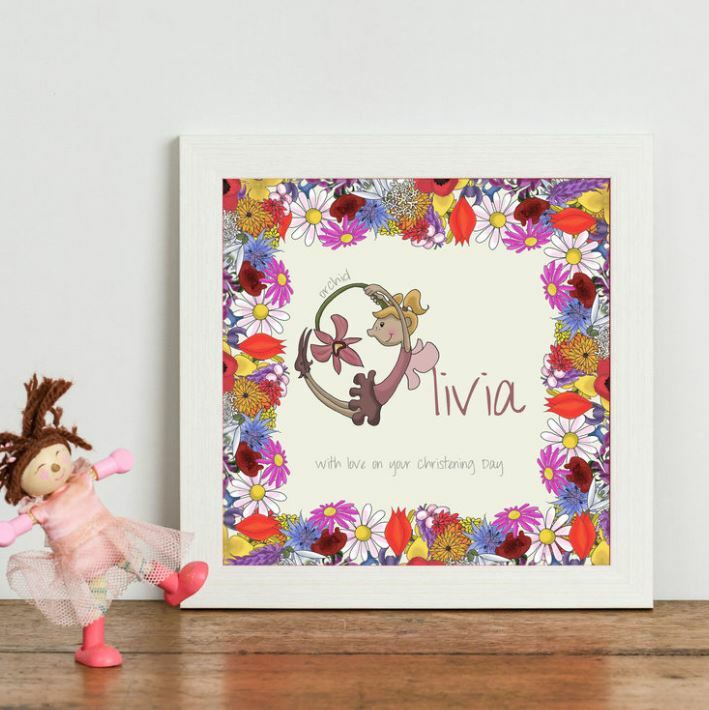 Gift your little girl with this personalised 'Fairy Name' print that you can customise with each letter of her name! Every carefully illustrated character features a completely original design, meaning that no two letters are the same. Underneath you can use the space to include a birth date or a special personalised message - the choice is yours! 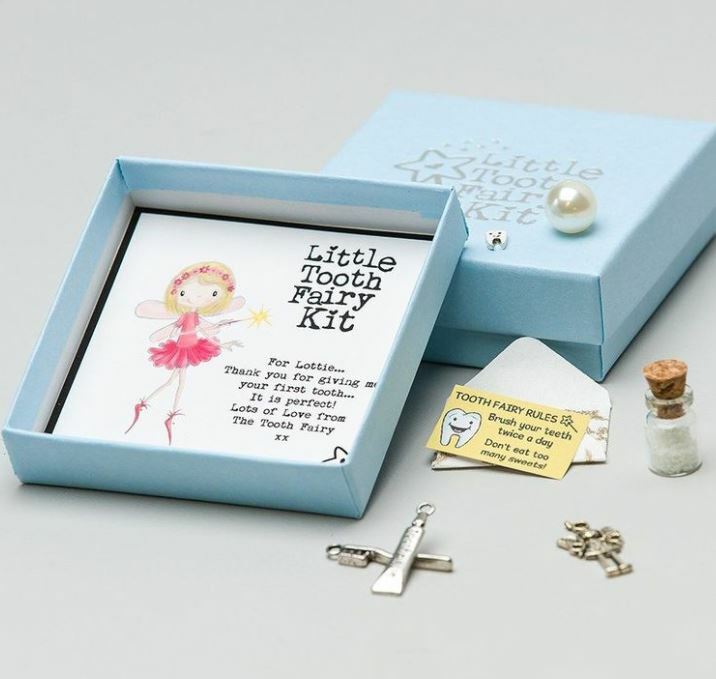 Losing your first baby tooth is a bit of a special milestone, so complete the fantasy with our extra special Little Tooth Fairy Kit! Comes filled with trinkets and tokens from the Tooth Fairy herself and can be personalised with a message of your choice to make the gift feel even more authentic. With a couple of fairy features and a frame of fragrant flowers, this hand illustrated design can be transformed into a truly personal gift when you use our special customisation options. Perfect for christenings, baby showers, birthdays and any other occasion you can think of. Sometime saying 'thank you' requires a more thoughtful touch. 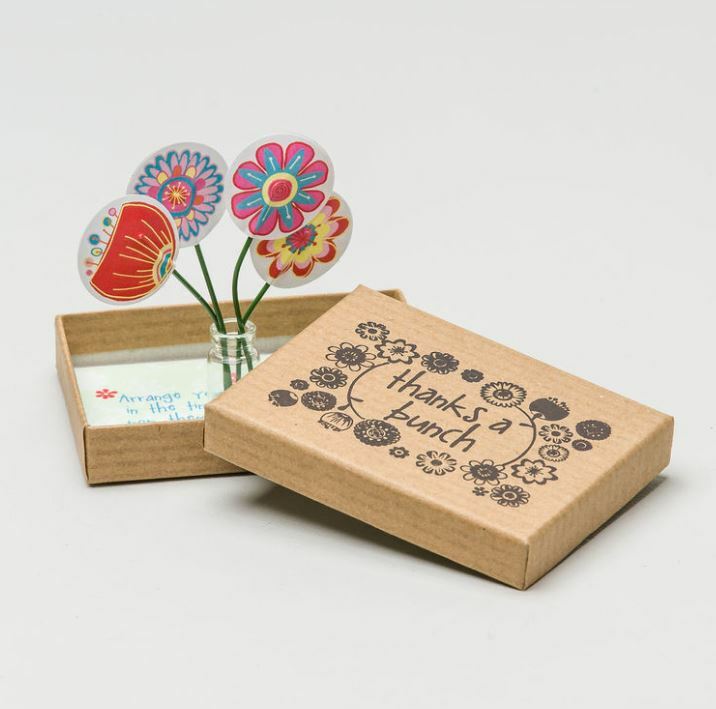 This beautifully decorated box comes with a vase of cute miniature blooms that can be personalised with our clever gift option to craft a special message conveying your gratitude. 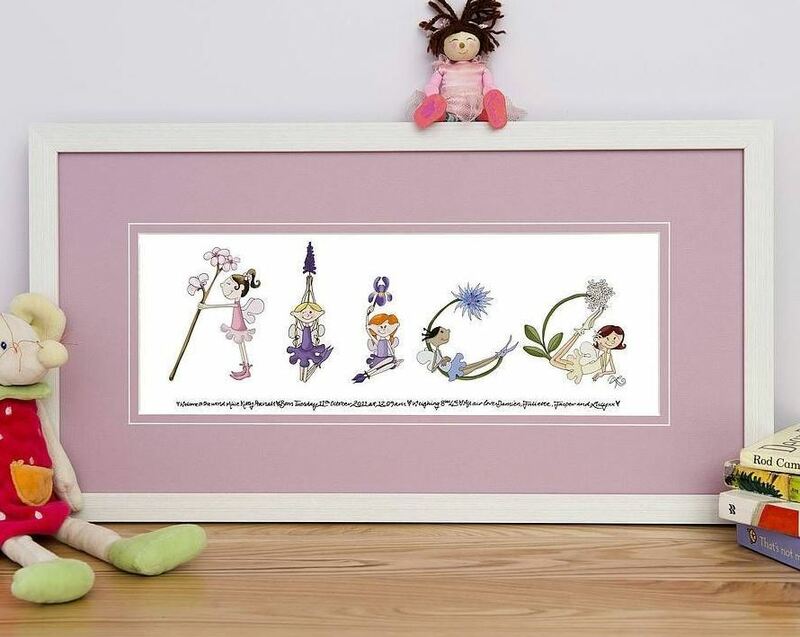 Learn your A-B-Cs the magical way with this fairy themed print, hand illustrated with a completely unique letter and character design to cast a spell on any child or baby's bedroom.